On a sunny day, people who don’t ride bikes usually say, “it’s a nice day for the bike” and of course they’re quite right. The words always surprise me though, because most of the time it’s a good day to be on two wheels, whether that’s the pedalling or motorised variety. A day with time spent outside is a day blessed with the rush of fresh air and the raw sensuality of moving your body to turn your machine. The comfort of a car cannot be denied, but at the end of the day it’s a box and you’re the sardine. When you invent your own job you can choose to spend some of your time doing the things that you love and call it work. Ride to work. Work to ride. Ride to meetings. We’re developing a range of bags at the moment that can be attached to motorcycles. They won’t be ready for a while because we’re still at the protoyping stage. It will take time and that time will be filled with rides in all conditions. People will say, “not a good day to be on the bike” and they’ll sometimes be quite right. Wednesday’s orders were packed and stock checked for the day and it was time to ride. When it actually works, kick starting a 1340cc motorcycle engine is immensely satisfying. The bark of the exhaust followed by pull of the engine’s torque, as it transfers through the rubber to the tarmac is intoxicating. After a pleasant half an hour you can be in the glorious landscape of the Yorkshire Dales from the HebTroCo unit. Even in bad weather it has a haunting charm, but on a fine day it is as majestic a place as anywhere in the world. First call was with Steve of Dust Motorcycles who started us off down the road of developing this motorcycle bag. 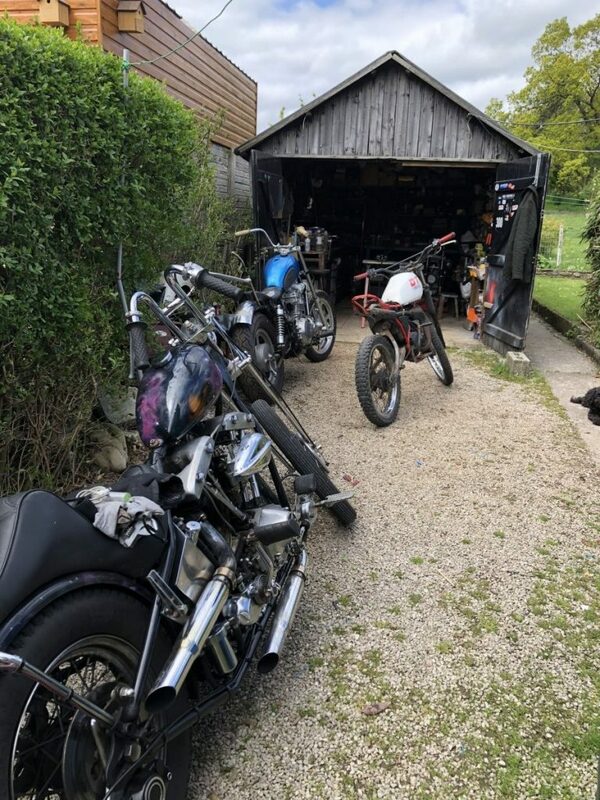 He builds custom motorcycles from a shed in his back garden for customers all over the world. His village is a cottage industry with machinists, painters and fabricators all adding their individual skills to each others projects. 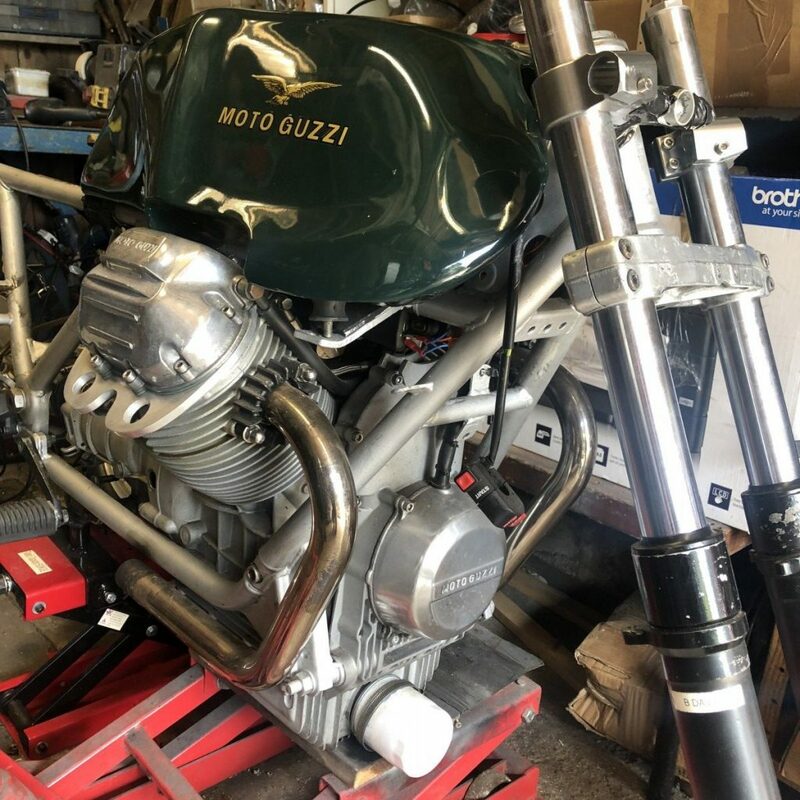 He’s got a few projects on at the moment including this fabulous Moto Guzzi endurance race bike that is being adapted to better fit its owner. 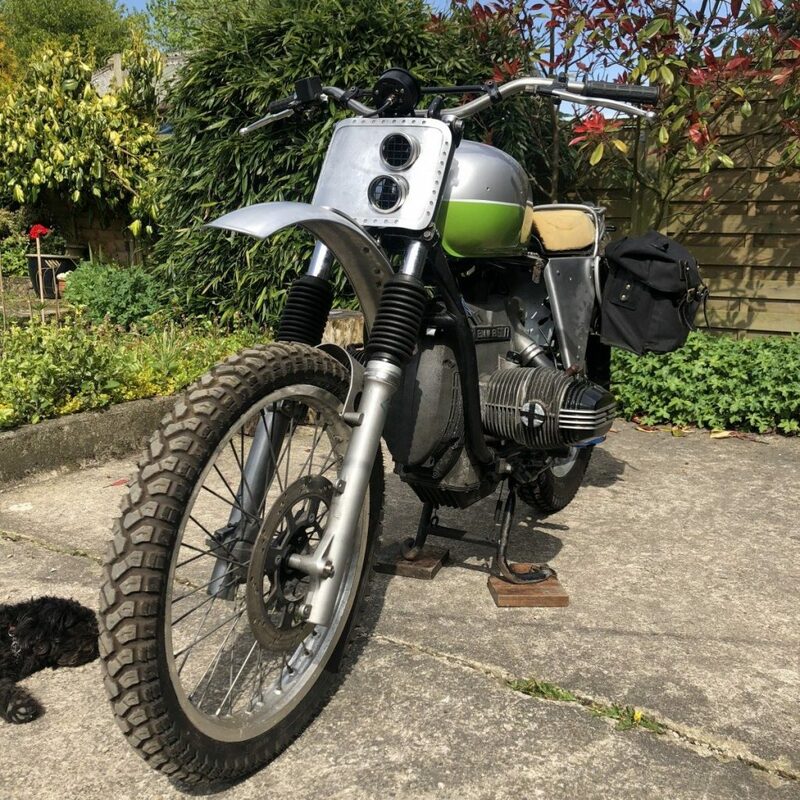 He’s also working on a fantastic air cooled BMW which he’s building for a customer who wants to ride the roads of the city and countryside. Mixing old technology with subtle touches of the super modern takes a skilled mechanic with the eye of an artist. With a change of wheels this bike will transform into a capable off road machine able to divert off the beaten track onto dirt roads and deserts. 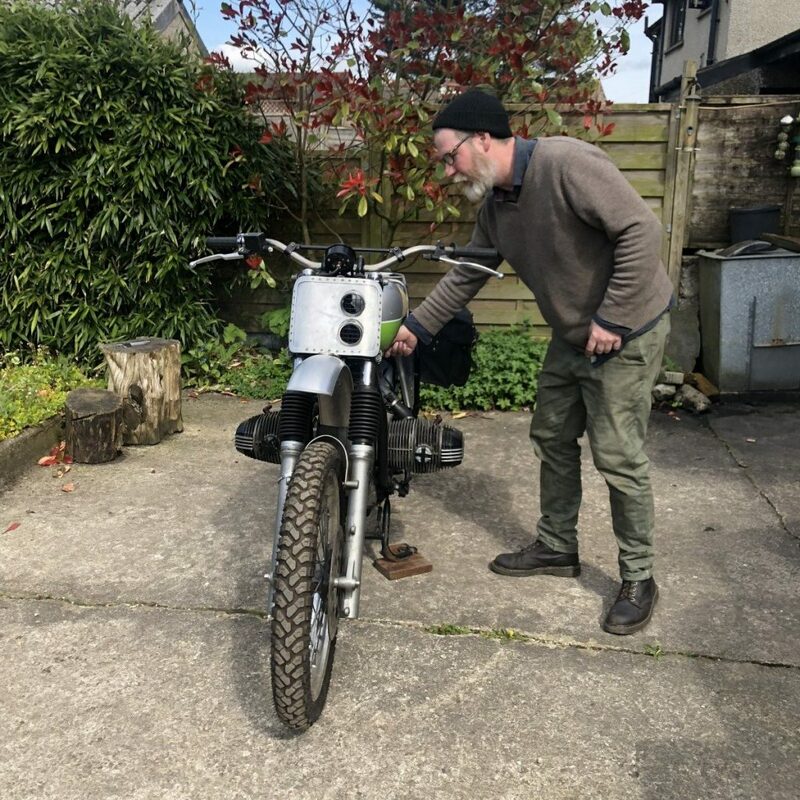 This very bike will be taking part in an event next year called SCRAM Africa, described by the organisers as, “a trip of more than 2.500 km for scramblers and customized bikes to the south of Morocco by roads, trails and dunes.” Hmmm, maybe we should do that? 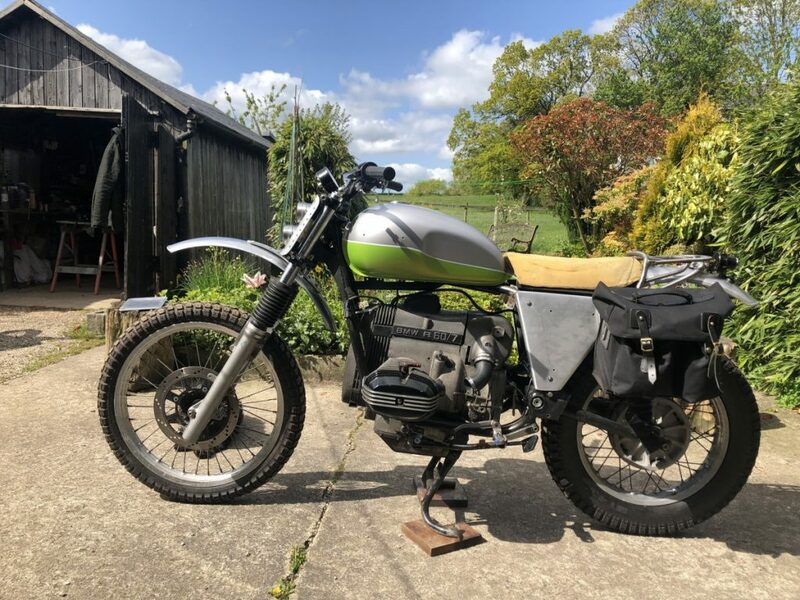 Steve got in touch, saying he liked the look of what we were doing and were we interested in making a pannier bag suitable for something like this Beemer he was building? 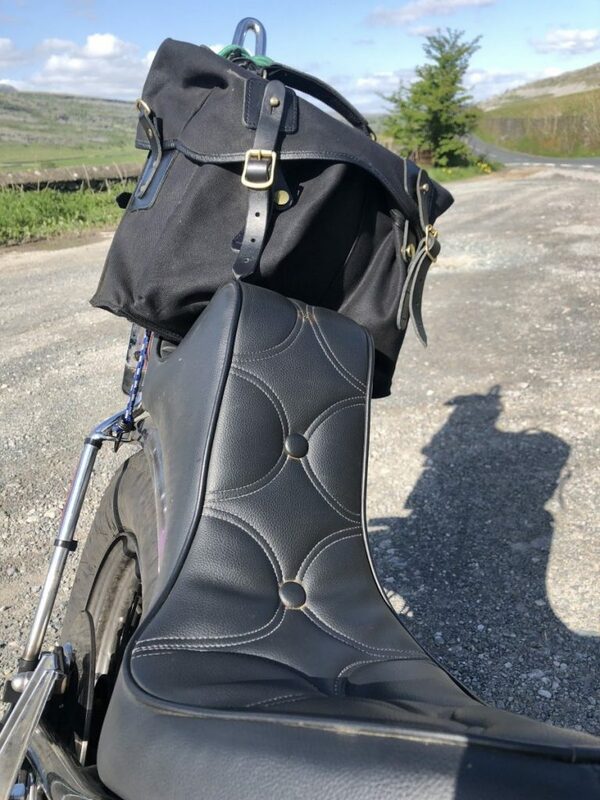 The first sample bag looks good mounted to the bike as a pannier and will also be a smart and styling bag for carrying around, without looking like a boxy bit of motorbike luggage. It started with just a bag but we are now making plans to collaborate with Steve on a bike project. There will be building, riding, going places and doing fun stuff. Being such a lovely day the scenic way home beckoned. In a car it would have probably been the hour and five minutes drive back home on the main road. 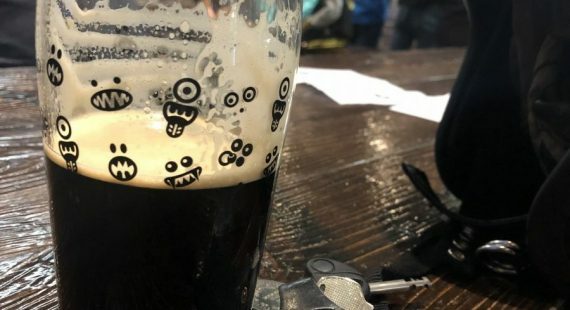 On two wheels, with the ability to avoid traffic and simply enjoy being out there, the four hour ride with a quick pub stop was the more fun choice. 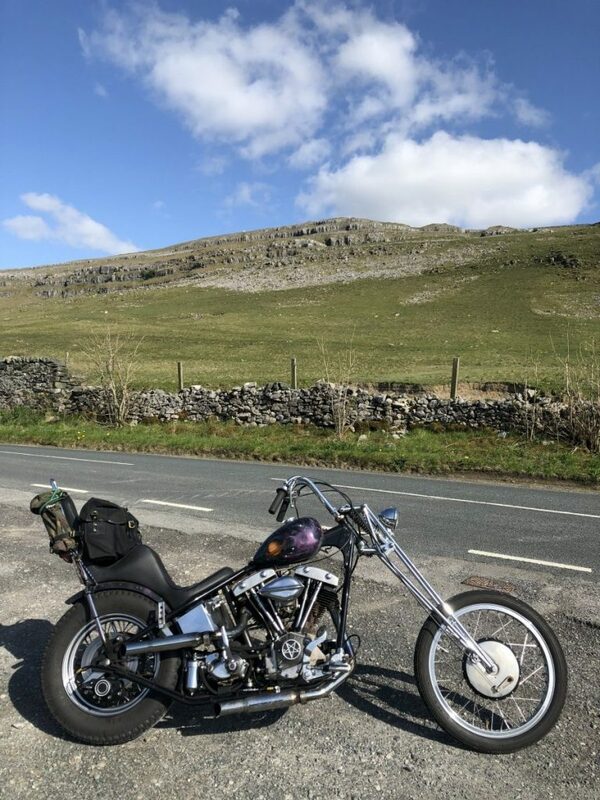 The road from Ingleton to Hawes in the Yorkshire Dales is a peach. 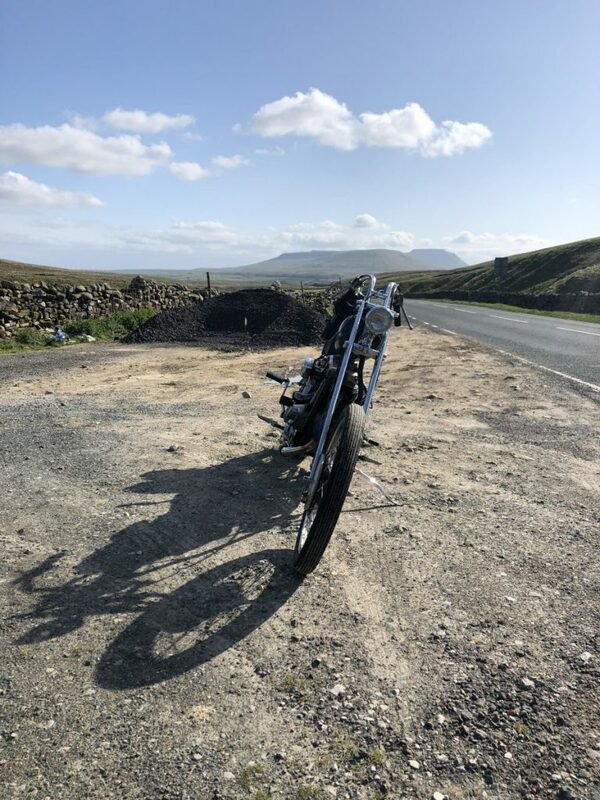 Dramatic limestone crag faced valleys, the impressive span of the Ribblehead railway viaduct and the isolated charm of the high Pennines was a glorious backdrop to the visceral pleasure of firing a stripped down, minimal chopper through the sinuous curves of the small roads. Braaap! Rolling into the tiny village of Hardraw I stopped for refreshment at the Green Dragon. It’s a characterful 13th century inn with on site waterfall. It doesn’t take long to meet the locals when you’re on an eccentric two wheeler. A dapper looking gentleman approached. “That’s a very nice jacket you’re wearing. 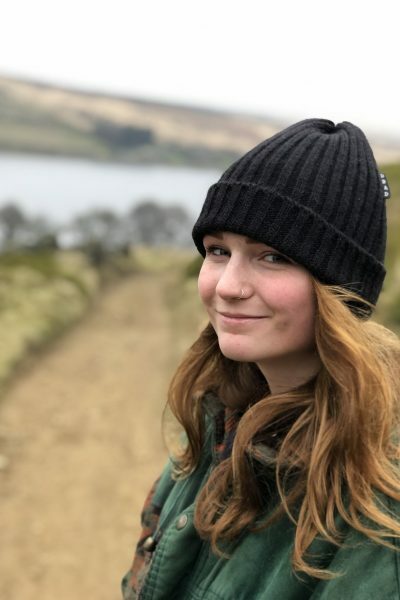 Is it HebTroCo?” he said to my amazement. 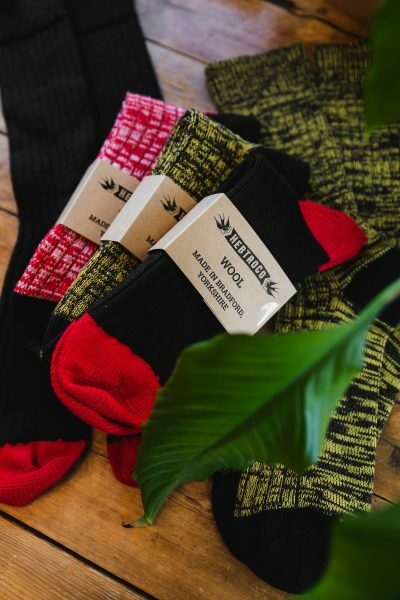 We struck up a conversation and it turned out that he had worked at Redman Brothers, one of the biggest Hebden Bridge trouser manufactures, back in the days of glory before the industry was sold out and business went off shore. 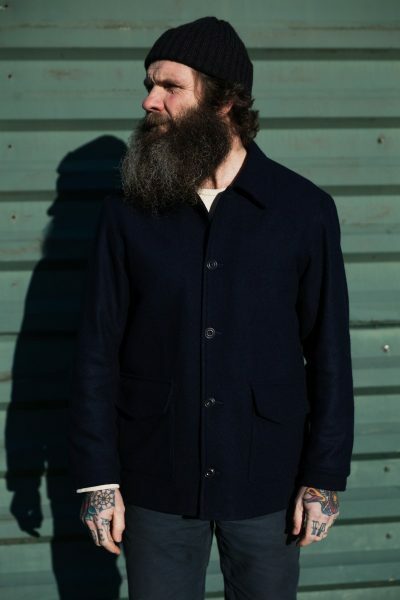 He had spotted us on Facebook and was enthusiastic to see that someone is still interested in making quality garments in Britain. Then he asked me, “do you sing?” I don’t sing thankfully but him and his mate do. 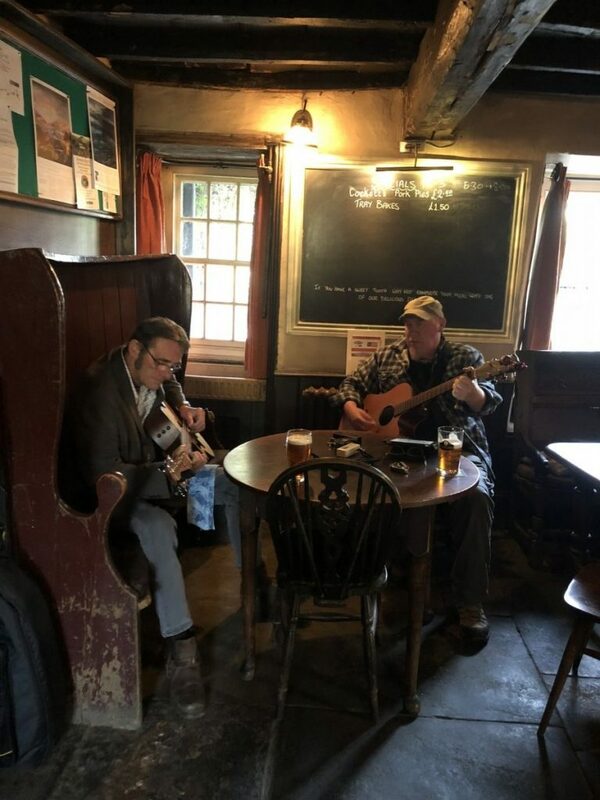 They live in the village and were just starting up their own two man music session. It was ace. Next a couple of Americans, working over here in clinical research, and looking to move into the village turned up. “That’s a lovely jacket” the man remarked. I explained that it wasn’t actually a vintage piece and that I was a partner in a clothing brand that makes here in England. 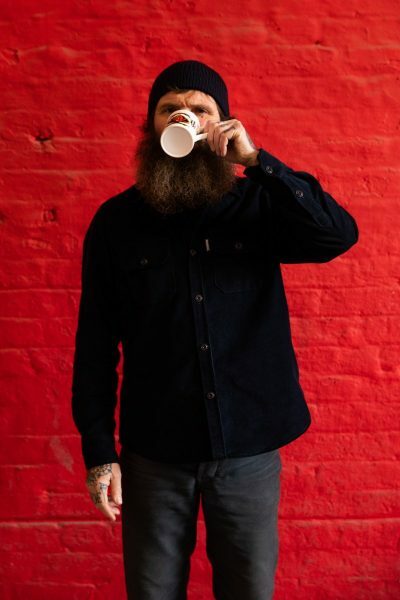 He told me how disappointed he was when someone explained to him how his Doc Martins were made overseas and only had a final assembly process done in the UK. He had been Brit washed into thinking that the Union Jack meant that they were, as they used to be, a fully British made product. I was proud to show him my Governor moleskins, Barlow knife, Moto Boots and a couple of secret samples that I was dressed in. I think he wallet will soon be lighter and I hope he will be happy, especially knowing the provenance of what he has bought. “Have another drink” they all said. “I must be going, I’m on my bike, and anyway, if I have another I’ll end up staying and moving into the village” I replied. 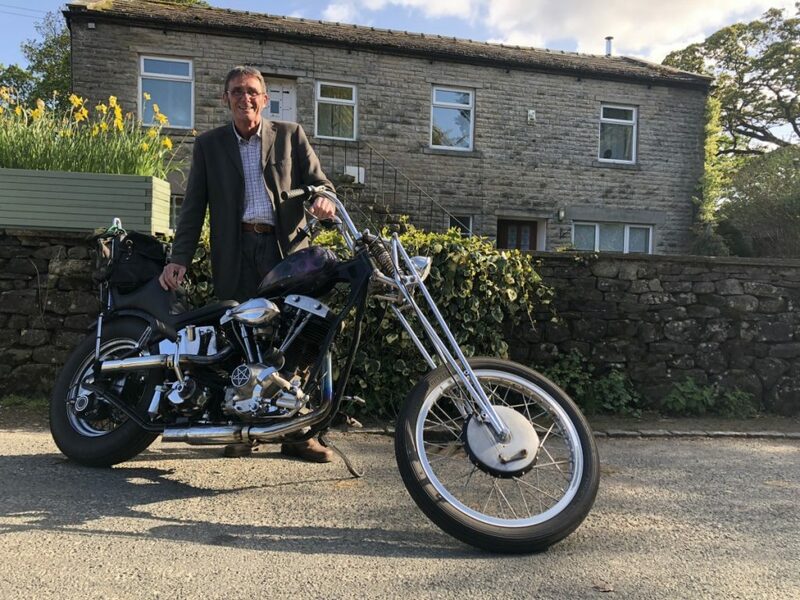 Back on the road, gunning the Space Chopper along dry stone walled lanes, I was chuckling to myself about how the simple motorcycle can transport you to such beautiful places to meet so many good people. 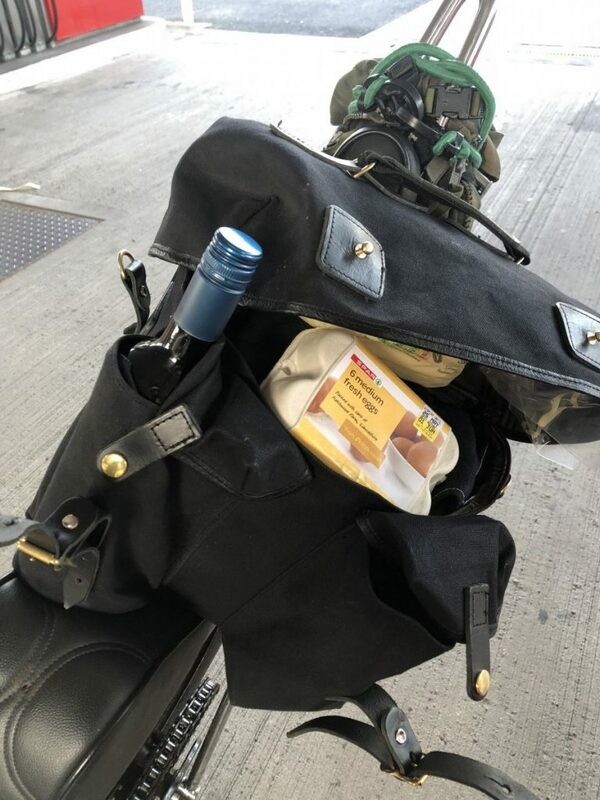 Luckily I had my bag on the back of the bike and filled it with eggs, bread and wine at a petrol stop, to carry on the happy day when I got home. The bike I’m riding is made from a collection of different parts, some of which have been on other bikes, some of which were made for this one. It’s impossible to put a date on it all as some bits are new while others come from the 1970s. 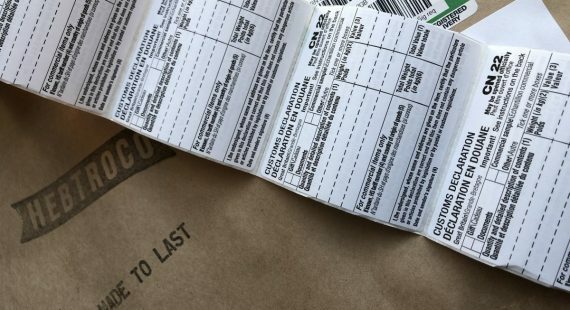 The letters DTFP are stamped into a bracket next to the kickstarter. I think this is a part made six or seven years ago by the builder who put the bike together in its current form. It’s a coded message inviting good times and marking the machine as a conduit to them.